Ultra premium interior emulsion with semi-gloss finish. Fortuna Silk is technologically the most advanced premium quality water based paint that provides a smooth and a luxurious finish. The product is also available in Solomon Islands. Plaster: New masonry surfaces must be cured for 28 days. Cleaning: Surface should be free from any loose paint, dust or grease. Growth of fungus, algae or moss should be removed by wire brushing and water. In case of areas having excessive dampness, use Asian Paints DampBlock to limit further dampness. When the underlying surface exhibits chalkiness, in spite of thorough surface cleaning, use Apco Coatings Exterior Sealer. 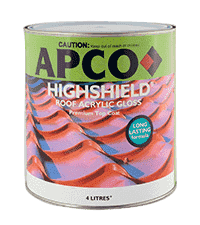 Filling For Cracks: For filling cracks use Apco Coatings Interior/Exterior wall putty. Filling For Holes and Dents: Use Apco Coatings Interior/ Exterior Putty or white cement and fine sand in the ratio 1:3. Step-2 Primer Application - Apply Sureprep Acrylic Interior Exterior Acrylic Sealer as per PDS. Step-3 Two coats of Fortuna Silk with an interval of 3-4 hrs. 1What are those bubbles or blisters on my walls? The bubbles or blisters on your walls are called blistering. Paint blisters or bubbles occur when there is loss of adhesion between the paint film and underlying surface. Applying oil-based paint over a damp or wet surface. Moisture seeping through to the exterior surface from an interior source. Exposure of latex paint film to moisture shortly after the paint has dried, especially in cases of poor surface preparation. If blisters do not go all the way down to the substrate, remove by scraping and sanding. Repaint with Fortuna Silk Luxury Interior Finish. If blisters are all the way down to the surface, it is a sign of a more significant source of moisture, which must be addressed before any painting can begin. Once resolved, remove all loose paint, repair any loose chalking. Allow the surface to dry thoroughly before the application of an appropriate primer and a Fortuna Silk Luxury Interior Finish. 2Glossy spots appear on the paint where my furniture touches or where I clean? Increase in gloss or sheen of paint when subjected to rubbing, scrubbing or having an object brush up against it. This is called Burnishing. Use of paint in highly trafficked areas, where a higher sheen level would be desirable. Frequent washing and spot cleaning. Objects (furniture, for example) rubbing against the walls. Use of lower grades of paint with poor stain scrub resistance. Paint heavy wear that require regular cleaning (i.e., doors, window sills and trim) with top quality water–based paint, because this type of paint offers both durability and easier cleaning capability. In high traffic areas, choose a semigloss or gloss rather than a flat sheen level. Clean painted surfaces with a soft cloth or sponge and non-abrasive cleanser; rinse with clean water. 3How do I get the rid of unsightly mildew on my walls? Mildew is both an interior and exterior problem found in damp areas receiving little or no sunlight. South Pacific species appear as black, grey, and green spots on any surface. Failure to treat existing mildew before painting. Using low quality paints with little or no biocide. Failing to prime bare wood before painting. Treat mildew with commercial bleach solution. Remove mildew by water blasting the surface. Allow bleach solution to remain on surface for at least 1 hour. Rinse thoroughly with water and allow surface to dry before painting. Wear protective eyewear, protective clothing, and waterproof gloves. To protect against re-growth use premium quality paint. Clean high-moisture areas at 6 month intervals to slow regrowth. 4What are those reddish-brown spots on my wood and walls? Reddish-brown stains on the paint surface are called nail head rusting and are usually a sign that the surrounding wood may be rotting. Non-galvanized iron nails exposed to moisture. Nail heads not caulked with siliconized caulk before painting. Frequent exposure to damp wood. Completely remove the nail and replace with a new nail. Wire brush each nail head until bare shiny metal. 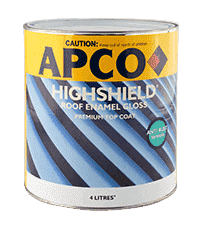 Clean and spot priming with appropriate APCO primer. Topcoat with Villa Sunfast Luxury Exterior Finish or Ensure Interior/Exterior Enamel paint. 5Why do I have a patchy paint finish? Patchiness generally occurs when insufficient paint has been applied or is applied unevenly, resulting in a variation of the film build leading to patches. Inconsistent distribution of paint on the surface. Incorrect or low quality paint brush or roller. Failure to apply a primer over joint compound. Applying paint over joint compound not fully dried. The top coat is applied over spot-puttied surfaces. Variations in surface gloss can cause paint to appear patchy. Increase the amount of paint on the brush or roller to allow better distribution. Apply the paint in a grid fashion to ensure an even finish. Allow puttied wall to dry evenly before priming. By applying one coat of appropriate premium APCO Primer. Apply two coats of Fortuna Silk or Villa Sunfast as per substrate. 6Why is my paint peeling off the surface? Peeling often occurs when high levels of moisture penetrate the paint film, eventually pushing it away from the surface. Excessive atmospheric moisture, e.g. shower. Excessive moisture due to high humidity, e.g. basement and/or foundation. Remove loose paint by scraping or wire-brushing. Remove any efflorescence and mildew. Power wash with plain water. Scrape cracks clean of debris and seal with APCO Damp Block incase of interiors. Remove residual dust particles, taking care to not let water into cracks or porous areas. Finish with two coats of Fortuna Silk Interior Luxury Finish or Villa Sunfast Exterior Luxury Finish as per the substrate. 7Why hasn’t the paint stuck to the surface of my walls and wood? Failure of paint to stick to the surface on which it has been applied and/or to itself can be described as poor adhesion. The biggest cause of poor adhesion is poor surface preparation. Insufficient sanding before applying any primer. Diluting the primer thereby weakening its ability to stick to the surface. Failure to prime the surface in the first place. Painting on wet or damp surface. Incompatible coatings, such as a water based coating over oil. Use the correct type of primerfor the surface. Apply primer following manufacturer’s recommendations. Never paint on a wet or a damp surface. Always ensure that the area is clean, dry and free from contaminants before painting. Treat any surface problems before priming. Ensure that primers and topcoats are compatible and suitable for the surface being painted. 8Why didn’t the hide the surface beneath in two coats as recommended? Poor hiding occurs when paint fails to obscure or hide the surface to which it is applied. Using low-quality paint with little hiding power. Spreading paint too thinly or unevenly. Over-thinning paint beyond the recommended amount. Failure to prime the surface before top-coating. Painting a porous or absorbent surface. Using incorrect or poor quality tools. Prime first, if moving from a significantly darker to a light colour. When painting in a dark colour, tint primer in a similar tone to the topcoat shade. Use premium quality paint for better hiding and flow. Use quality and correct tools for the job. Follow manufacturer's recommendation for thinning. 9Why does my paint come off the wall when scrubbed? The easy wearing-away of paint when scrubbed with a brush, sponge, or cloth is indicative of a paint which is exhibiting poor scrub resistance. Insufficient time allowed for paint to fully dry before washing or scrubbing. Use of an abrasive cleaner. Choosing the wrong product or sheen for the area. Overly aggressively scrubbing the painted area. Areas requiring frequent washing will require a high quality paint formulated especially to provide such performance. High traffic areas may require a silk, semi-gloss or gloss rather than a flat paint. Allow adequate dry time, as scrub resistance will not fully develop until the paint has thoroughly cured. Typically, it takes 5 days. Use non-abrasive material and mild detergent where possible. 10Why do my walls get dirty and stained so easily? Failure to resist absorption of dirt and stains, occurs with paint not made specifically to resist dirt and stains. A highly porous surface can lead poor stain resistance. Using of lower quality, flat latex paint. Applying paint to an un-primed surface. Use a paint specifically designed to provide stain & dirt resistance. Use premium acrylic paint designed for ease of stain removal. Premium quality acrylic paints contain more binder, preventing stains from penetrating painted surfaces and allow for easy removal. Priming new surfaces provides maximum film thickness of a premium top coat. 11Why did the paint roller leave so many marks on my walls? Failure of paint to dry to a smooth film, resulting in unsightly, unintentional brush or roller marks after the paint has dried. Re-brushing or re-rolling fresh paint on partially dried paint. Applying paint too rapidly or for too long. Using wrong type or poor quality brush, roller or nap size. Applying a paint film that’s too thin. Painting a hot surface or painting in direct sunlight. Coating a very porous surface. Allow paint to dry thoroughly before applying 2nd coat. Wait until the paint has dried thoroughly before touching up. Use correct rolling or brushing technique. Follow label directions for appropriate quality, applicator size, and type needed. Follow label directions for correct film build. Prime to seal porous surfaces. 12My new paint job is all wrinkled. Why has this happened? The hardening on the outer layer of a thick coat of paint before the under layer dries results in the paint film having a rough, wrinkled appearance. Applying paint too thickly especially with oil-based paints. Applying a second coat of paint before the first has dried. Not following recommended drying times. Painting during extremely hot causes the paint film to dry faster on top than on the bottom. Uncured paint that is exposed to high humidity is also prone to wrinkling. Painting over contaminated surface e.g., dirt, grease or wax. Allow wrinkled coating to dry completely. Once dry, scrape or sand to remove wrinkled coating. In reapplying paint, follow recommended drying between coats. Avoid extremes in humidity and heat during application. Use premium quality exterior paint. It’s always better to apply two thin coats, than one thick coat. Consider using a water-based system for a shorter drying and recoating time. 13My walls and ceiling were white when painted, and now they’re yellow. Why is this? The yellow cast that appears over previously painted white surfaces is called yellowing, and mostly occurs with oil paints. Use of oil paint in areas not receiving direct sunlight. Oxidation of alkyd or oil-based paint or varnish as it ages. Heat from stoves, radiators and heating ducts will turn oil paint yellow. Lack of light in dark areas such as behind picture frames, appliances and inside closets. Tobacco staining or other environmental contaminants. Because of their drying process, water-based painting systems fare better in enclosed areas. Water-based acrylic paints are non-yellowing. If your preference is for oil paint, ensure maximum sunlight to minimise yellowing.